It's been ages since I put something new it the Etsy shop - I apologize for that by the way - but today that changes! Show season is over for me and we are back to our regularly scheduled programming. 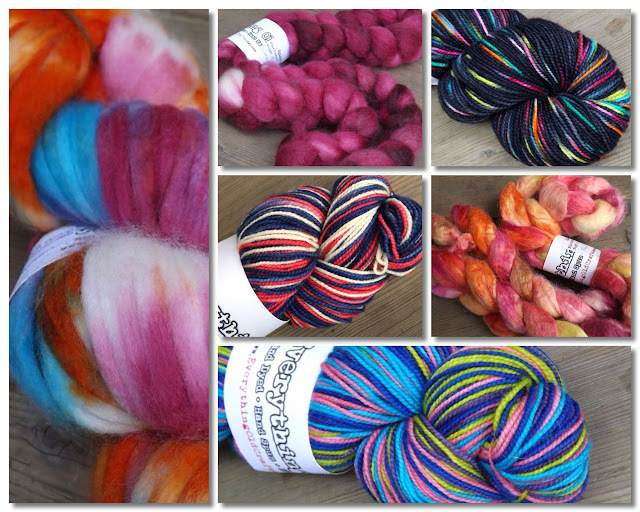 Today's update is awesome - self striping and speckled sock yarn, and bright fall coloured fibre!